Whether you&apos;re rooting for the New England Patriots or Atlanta Falcons this Sunday, everyone can agree on one thing: You need plenty of snacks to enjoy the big game! That makes this weekend the perfect time to visit York County, home of Utz Quality Foods,Snyder&apos;s of Hanover Factory Store, Stauffer&apos;s Cookie Outlet and plenty more mouth-watering manufacturers. Swing by and stock up! If football isn&apos;t your thing, consider a murder mystery dinner or a day at the winery. Here are three ways to spend your weekend in York County. Put on your detective hat and solve the Murder at Mount Hope. The ninth annual Murder Mystery Dinner Theater at Mount Hope takes you to the grounds of the Mount Hope Estate & Winery. Enjoy a culinary whodunit as you piece together the truth over a four-course meal. Mount Hope Winery is also a member of the Mason-Dixon Wine Trail, so be sure to try some wine while you&apos;re there! Super Bowl Sunday is almost upon us, which means it&apos;s time to stock up on all the snacks you need to enjoy the big game. Whatever you crave, York County has it. 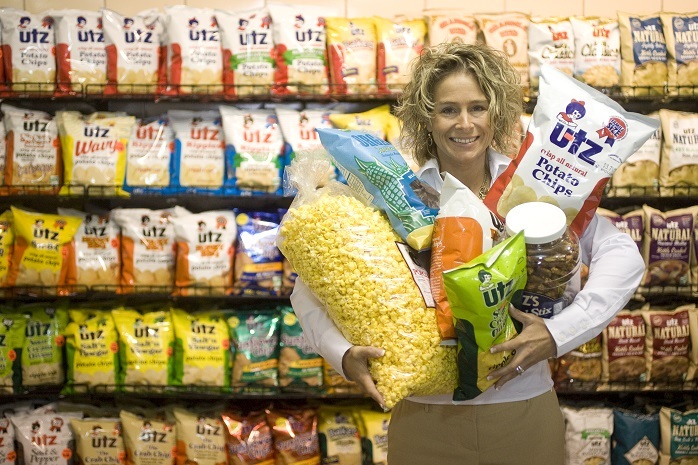 Stop by the factory outlet stores for Utz Outlet Store, Snyder&apos;s of Hanover and many more. 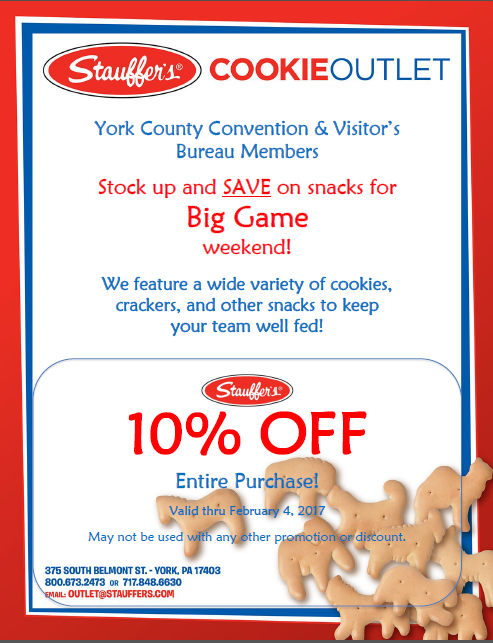 You can even find an awesome deal at Stauffer&apos;s Cookie Outlet, with a coupon for 10 percent off your entire purchase found at the bottom of this post! While you&apos;re town, stop by 1st Capital Harley-Davidson for its Souper Bowl Party and vote for your favorite bowl of soup. Finish your weekend by visiting another member of the Mason-Dixon Wine Trail, Hauser Estate Winery, for a relaxing glass-painting event. Choose from winter and Valentine&apos;s Day designs or let your imagination run wild. Even if you&apos;re not an artist, you&apos;ll receive plenty of guidance to make sure your glass looks just as good as the wine that will fill it.